Macedonia, where the sun shines forever according to the song is exactly the description of this country where the sun always shines in the Balkans’ scenic heart. Travel Macedonia and experience the hospitality of its people who loves music, dances and have fun. They simply know how to make their guests feel at home. Macedonia, also known as the Former Yugoslav Republic of Macedonia is quite visited because of its low economic and social status within the community of Europe. 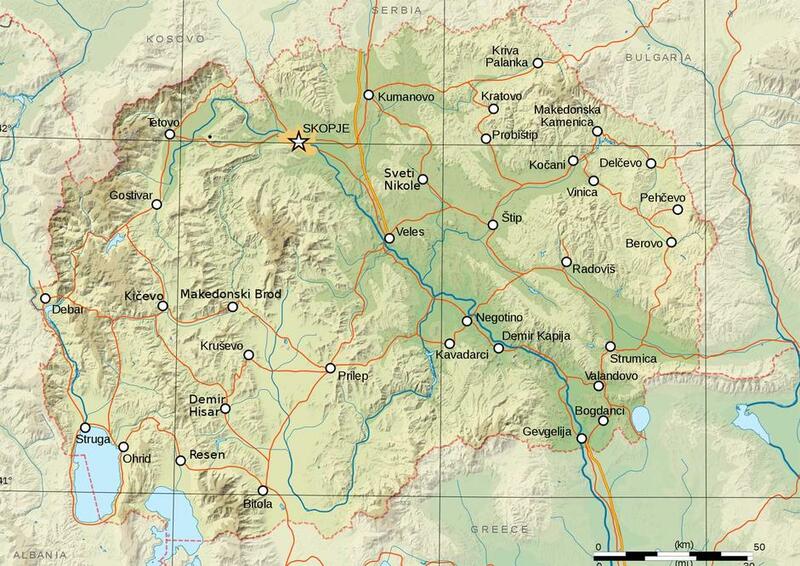 Macedonia is located at the South Eastern Europe and the north of Greece. The Map of Macedonia references Europe and can be compared to a state in the U.S. It is slightly larger than Vermont. If you plan to go overseas, make sure to have comprehensive travel insurance to prepare for any worst things that may happen on your way. Taking this approach would prevent any nasty situations like medical or hospital bills during your holiday trip. It has not been long ago since the Western Europeans have discovered this hidden treasure in the east. Although Macedonia has struggles to survive in terms of its economic and political status, tourism has never been compromised. The Monasteries – It is quite a surprise that Macedonia has the affluence of historical monasteries scattered all over the country. Their monasteries are remains of the Orthodox Christian belief dating back to 1000 A.D. Although the Sveti Jovan Bigorski monastery has been affected by a fire last 2009, majority of it stands unaffected. The Lake Ohrid – The crystal clear, blue green waters of this splendid lake is just the right place to visit. The township being located on the border of Macedonia and the eastern part of Albania has been developed into a mecca for German tourists whose looking for a more reasonable deal compared to the more expensive destinations in the Mediterranean coastline. The Strumica – This adorable town is the largest in the Eastern part of Macedonia which has an eclectic array of old monasteries, modern bars and cafes, and architectural remains of the flamboyant Middle East. The place can be associated with some parts of Paris, without much expense. This makes a fun and luxurious holiday without breaking the bank. It sure was great to know the best scenic spots around Macedonia, but what is the perfect time to enjoy those tourists’ destinations? Find out the weather and climate of the country for you to know when you will book your vacation in Macedonia. Between the months of May to October are the best times to visit Macedonia. These are the warmest and among the driest seasons of the year. The usual temperature during summer is 73 degree Fahrenheit or 23 degree Celsius yet you may need some sweater at night. Winters here are extremely cold often drizzly, windy and snowy, most especially in the north and its interior. It snows much during winter which may cause some delays on your travel. Aside from key tourist spots, each traveller wants to experience the best cuisines of any countries they visit. Macedonia’s cuisine combines Mediterranean and Balkan traits that have been largely inherited from Turkish taste prevailing from the centuries of Ottoman rule. Some dishes include Masnic, or a pastry rolled into spiral with some fillings like pumpkin, sweet potatoes or cheese. Slatki is also known to be one of the best bread filled with Burek and cheese.